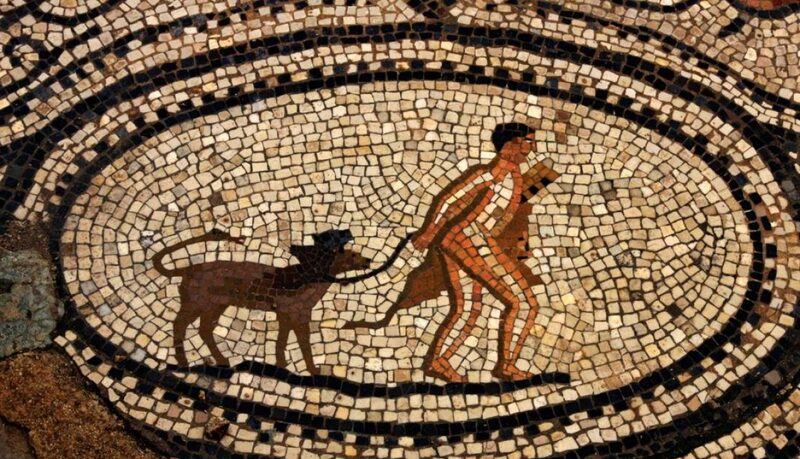 Pet cremation is not a new business, in fact archaeologists have discovered a pet cemetery in Palestine with the cremated remains of over 1000 dogs in urns that dates back as far as 332BC. Modern cremation started a little closer to today following multiple tests to develop a dependable cremation chamber that was not a danger to use. In 1873 an Italian professor named Brunetti produced what could be classed as the first modern crematorium which lead in 1874 to the first Cremation Society to be established in England in 1874 leading to the first dedicated Crematories being built across England and Germany. Pet cremation as a business idea was not far behind as the oldest recognised pet crematorium ‘Hartsdale Pet Cemetary and Crematorium’ opening in 1896 in the USA, which has since gone on to now have more than 70,000 pets buried and cremated on its grounds. It is during the past two decades however that Pet Cremation has grown from what could have been considered a niche industry into one that is more accepted and mainstream. Achieving an estimated global profit exceeding £100 million pounds in 2016 and showing no signs of slowing. The range of options in pet crematoriums has grown to suit increasing demand. We have been supplying machines to the pet cremation industry now for more than 25 years. Initially the first machines that we sold to pet crematoriums were specially adapted agricultural machines, top loading with small chambers able to cremate a small number of pets per day, we are still servicing some of these machines after more than 20 years of operation. As the years went on and enquiries increased we looked to the world of human crematoriums to improve our designs and develop a machine especially for the pet cremation market. This lead to the development of our PET100 and PET200 machines. Front loading and deashing, with a more comfortable operational process and automatic operation the range benefitted from many operational and ergonomic improvements specifically for the purpose of delivering a higher level of cremations per day in a more compact and user-friendly design. Having a design more suited to a pet crematorium the market received the range with open arms in fact the PET200 is currently one of Europe’s’ most popular pet cremation machines and is installed in pet crematorium worldwide. Following increased demand by larger operators that needed a more powerful machine the A50IC range was developed available in a two, four and six chamber configuration and boasts an output of up to 60 individual pet cremations a day. As our range has grown from the initial range of adapted solutions to a dedicated Core and Premium range in the past few years, you may be mistaken to think that, that was enough. However we still have many requests from customers for something different, something unique to suit their needs exactly. Having our own design engineers in house comes in extremely handy with these requests ensuring that any adaptions improve rather than impact upon operation. In the past year we have been able to design and manufacture machines with specially adapted front and rear de-ashing chambers, electric doors and extra wide chambers for really big pets. 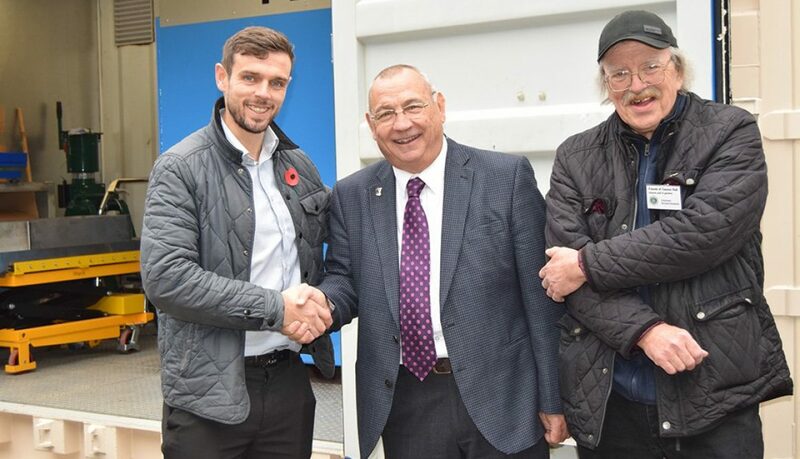 We have seen the industry grow massively proudly supplying the very first Council to enter the pet Cremation industry providing a specially containerised PET200 to Barnsley council, opening in November 2018 this is the first of many planned across the UK by councils that have realised the genuine business potential of pet cremation. The industry has grown equally, in the UK one of our machines has even been used to cremate a Rhino for a local Zoo. Internationally we have seen growth not only in the number of orders but the scale of machines ordered by regions experiencing growth. Supplying an Australian pet crematorium with their second and third machines large enough to cremate a horse. And breaking new ground in providing the very first pet cremation machines into Serbia, Bolivia and Peru to name just three. At over half a million pounds is the Tibetan Mastiff in China the most expensive pet cremation ever? How much do people spend on Pet Cremation? The services we have seen provided by pet crematoriums is staggering, starting with a basic cremation most providers have dedicated memorial rooms to decorate alongside the owners wishes, pet cremation urns can cost as little as twenty pounds and as go as high as several thousands as people are prepared to spend what they can on their beloved pets. Additionally counselling services, marble headstones and ash scattering services across deserts and lakes are also available and many more unique options, there is an option for everyone and every budget. In fact the most expensive recorded ceremony cost more than half a million pounds for a Tibetan Mastiff in China. The future of Pet Cremation is very bright, having more than enough room for new businesses to open up and operate successfully and Addfield has more than enough solutions to provide the perfect solution for the sustainable development of any pet crematorium regardless of size, location or experience we have the machine to suit you, for now and the future. Click here to read about the first council ran pet crematorium. Click here to read an interview on running a pet crematorium in the UK. Click here to see a guided tour of our A50IC Pet Cremation machine. Click here to learn how you can go about starting your own Pet Crematorium. Click here to read the experience of starting a Pet Crematorium in the Netherlands. Click here to learn more about the growth in pet cremation.